The World Perfumery Congress theme, "A Sense of What's Next," will explore the current state of the fragrance industry and it's key opportunities for growth. 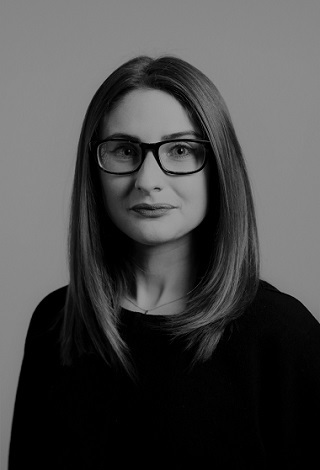 To start it off on the right foot, Hannah Symons, Euromonitor International beauty and fashion research manager, will present her keynote presentation, “The Future of Fragrance & Growth Opportunities” on June 4, 2018. Recently, Perfumer & Flavorist caught up with Symons to discuss her presentation, along with changes that she is seeing in the fragrance industry. Perfumer & Flavorist (PF): Can you give us a little glimpse of what you will be talking about and presenting at WPC 2018? Symons: The presentation will give a global perspective of the major shifts occurring in the fragrance industry in recent years, as well as taking a deeper look at regional nuances. Highlights include the drivers behind the evolution of celebrity fragrances to lifestyle brands, analysis of the proliferation of niche and genderless scents and a look at their potential lifecycle, as well as how the quest for novelty and sustainable credentials is impacting the industry. PF: What are some of the larger consumer behaviors and trends that are impacting the fragrance market? Symons: The consumer search for differentiation is dictating the market. In some ways, it is stifling the market because scent doesn’t make you immediately stand out from a crowd like other parts of the grooming routine, the possessions you own or the experiences you partake in. For that reason, fragrance is not the most dynamic industry right now, but it remains innovative and opportunistic. For those who still choose to wear fragrance, the preference is for a unique scent. In this way, the mainstay designer names of the fragrance industry of yesteryear are losing their appeal, unless they are diversifying into super exclusive private collections, or have another sort-after status element in their marketing message. The winners are those who can convey the notion of bespoke without a truly bespoke price tag. Generally, younger consumers don’t strive for authenticity the way adults do, instead, they are in search of inspiration and aspiration. While this intrinsic need to be part of something has not been lost among younger generations, it has evolved to one of belonging rather than imitating. For example, celebrity scents have fallen out of favor and lifestyle brands such as Victoria’s Secret and Missguided are on the up. "The winners are those who can convey the notion of bespoke without a truly bespoke price tag." PF: What are some of the obstacles and barriers that the market is seeing? What has been the impact of niche fragrances and how have mass brands responded? Symons: Niche fragrances have without doubt raised the average unit price of the category, but it is still that, niche. Not only is the proliferation of niche a very developed market trend but within that it has a narrow consumer base. Mass brands have responded with exclusive collections or by diversifying entirely. For example, instead of selling themselves on a unique scent, a claim that is difficult to make, mass brands are positioning themselves as cheap enough to mix and match, or to complement a so-called scent wardrobe. Another major challenge for the industry is a turnaround in consumer priorities, which are shifting towards being and experiencing instead of owning. Of course, owning still has its place but our possessions generally have a more carefully considered or functional places in our lives. The effect on the fragrance industry is that fragrance must embody its owner, their personality and their state of mind. PF: Lastly, what are you looking for to most about World Perfumery Congress 2018? Symons: I’m most looking forward to seeing the industry from a different perspective. Being from the market and consumers side of things myself, I’m curious to see the state of play through the eyes and nose of the perfumers themselves and to be immersed in the more creative and emotional side of perfumery, as opposed to the strategic view.